The gambling industry has witnessed impressive growth over the last several years, in both traditional and online gambling spheres. According to Statista, the worldwide online gambling industry has grown at a compound annual growth rate (CAGR) of 9% in the last seven years. The growth of the online gambling industry is further supported by the advantages online casino operators have over traditional casino operators. Through beneficial legislation and the physical separation of players and dealers, online operators are moving the physical location of their casinos to low-cost countries. For example, Malta, Gibraltar, and Latvia have established themselves as attractive locations in the gambling industry, especially for the operation of live casinos. Meanwhile, online casino operators attract and reach a worldwide target market, easily and effortlessly growing and scaling their business. Founded in 2016, the company has primarily focused on the development of a new-generation platform for an online casino to provide players with better margins through payback on losses and advanced token economic mechanisms. The platform has been already developed and is now live.Due to its vast experience and active participation in the gambling market over the last 18 years, the Bitbook.ag team chose blockchain technology as its foundation leveraging security, optimization, and democratization of data within the project. 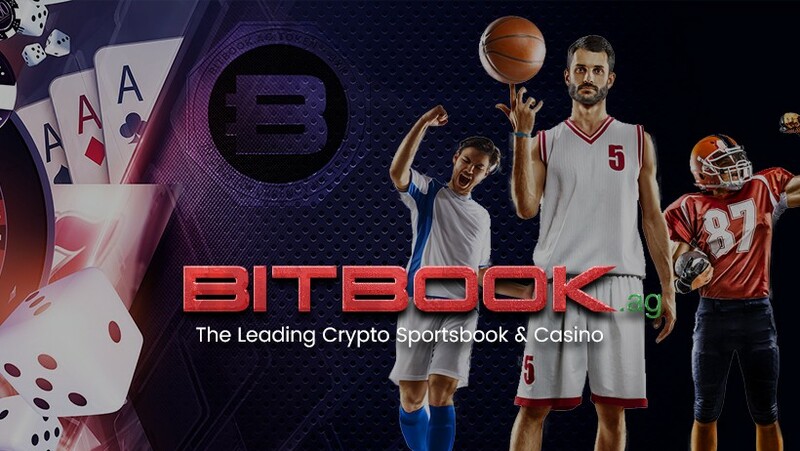 As Bitbook.ag ’s online casino and Sportsbook will be entirely based on blockchain tech, all players will be able to look into the transaction stream. Every transaction is transparent to everyone, and the informational asymmetries between players and casino operators are eliminated. Users can retrace all prior transactions and thereby trust the integrity of the platform. The company uses different cryptocurrencies and BXK tokens, allowing players to deposit funds quickly. It offers fast payment/swift transactions by using cryptocurrency technology which respects the player’s privacy. The winnings cannot be blocked or confiscated by any third party. What’s more important, Bitbook.ag does not store credit card information and needs only minimal data about the users, reducing the risk of sensitive information being stolen by an attacker and ensuring maximum user confidentiality. The platform provides users with a variety of games and betting options through its Sportsbook. The casino has 200+ games of different kinds, over 150 slot games and 9 versions of roulette. The Sportsbook offers users the ability to place bets on the outcome of sporting events and functions worldwide from their computers and mobile devices. For the second part of 2019, the company is planning to launch a new peer to peer betting service. The core function of this service is the option for users to create a bet on an event and offer it online for others to bet against. Information regarding the bet and the result is be stored on the blockchain and the payment is handled through an Ethereum Smart Contract. As for the BXK token, it is an essential part of the Sportsbook and casino platform. It is used as the exclusive currency on the Bitbook.ag platform — for both sports bets and casino games. Through the use of the Bitbook.ag token as a digital currency, players from around the world can profit from the low transaction and administrative costs. Placing bets is simple, fast and cheap. BXK tokens provide players with a lot of benefits. If a client wants to transfer funds to or from his account, this can be done with little time spent on administrative procedures and checks. Transactions can be processed efficiently and at minimal cost. Bitbook.ag as the operator profits from the ability to globally transfer of funds. Players can receive fast payouts at any time by exchanging the tokens in their Bitbook.ag account for a cryptocurrency of their choice and demand payout of funds. An exclusive feature of BXK tokens is Bitbook.ag offers 10% return on player’s losses as well as additional bonuses not provided for other cryptocurrencies. Bitbook.ag has a lot of innovative tools for gamblers, and it continues creating new solutions driven by the power of digitalization. The company wishes to see the gambling world changed, and they do their best to make it happen. If you feel the same, join the Bitbook.ag community and get your rewards now. Bitbook is the world’s leading blockchain platform for online gambling. Play with bitcoin for sports events and casino games. And cashout you bitcoins.